Procter & Gamble may soon attract the eye of another pushy investor. Hedge fund boss Bill Ackman persuaded the $210 billion Tide-to-Charmin consumer giant to oust its chief executive and bring back former boss A.G. Lafley in 2013 – then sold his shares within a year. Lafley’s encore has delivered limited success, however. With P&G’s sales stagnant and shares underperforming, a different activist might be tempted to have a go. Lafley, who led P&G to a 93 percent total return during his first stint as CEO in the 2000s, outperforming the S&P 500 Index, has hardly been standing still since he took back the helm from Robert McDonald two years ago. He has pushed on with a $10 billion cost-cutting drive and is shaking up the company’s sprawling portfolio by ditching dozens of smaller brands to leave a core of about 65 bigger, more profitable product lines. P&G has exited pet food and agreed to offload its Duracell battery business to Warren Buffett’s Berkshire Hathaway. Consumer rivals Henkel and Coty on Monday submitted bids for the group’s shampoo and cosmetics businesses worth up to a combined $12 billion, according to Reuters. These are all sensible steps, but P&G’s shares have made a negative total return, including reinvested dividends, since Lafley announced the brand cull last August, lagging both the S&P 500’s 10 percent total return and competitors like Clorox and Colgate-Palmolive. The strong dollar has made it harder to hit targets. But underlying sales grew just 1 percent in the three months ended in March with currency stripped out. That is bringing calls for more aggressive change. Last month analysts at Bernstein published a report arguing that the board should consider a breakup, essentially saying that P&G has become too big to manage. They think splitting it into two or three smaller but still-substantial pieces could add up to 18 percent to the group’s current enterprise value. Ackman’s 2012 tilt showed that even a company the size of P&G could be swayed by bold shareholders, who increasingly enjoy the support of big institutional investors. Lafley may be nearing his second retirement, something the Wall Street Journal has reported might happen as early as this summer. That could open the door for another ambitious rabble-rouser to pounce. 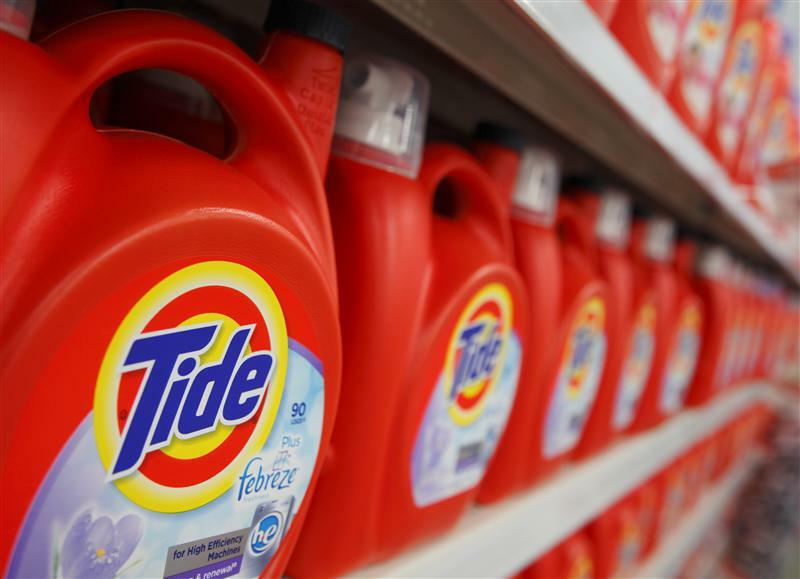 Consumer goods companies Henkel and Coty submitted binding offers on June 8 to buy separate parts of Procter & Gamble’s beauty business worth up to a total of $12 billion, Reuters reported, citing people familiar with the matter. Assets for sale include P&G’s Wella and Clairol haircare brands, as well as the $210 billion consumer giant’s cosmetics and fragrances businesses, including its Max Factor and CoverGirl brands. Buyout groups KKR and Clayton Dubilier & Rice also submitted bids for P&G’s haircare and cosmetics businesses, respectively. The planned disposals are part of P&G Chief Executive A.G. Lafley’s plan to shed more than half of P&G’s brands and refocus the company on a core of about 65 more profitable product lines. Procter & Gamble’s shares have returned negative 0.2 percent, including reinvested dividends, since Lafley announced a plan to cull dozens of underperforming brands in August 2014. The S&P 500 Index recorded a total return of about 10 percent over the period. Rival consumer groups Colgate and Clorox have returned 4 percent and 21 percent, respectively. Bernstein Research recommended that P&G’s board consider a breakup of the company in a note published on May 22. The firm said splitting P&G into two or three smaller companies could boost the combined market value by up to 18 percent.